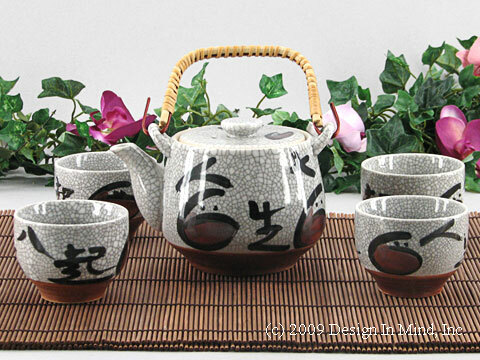 Beautiful Japanese style teasets feature traditional and modern Japanese designs. 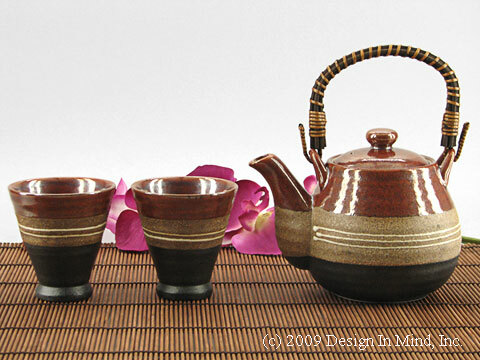 These are fine quality porcelain and stoneware teapots and teacups and are made in Japan. Blue Plum Japanese porcelain teapot and cups. 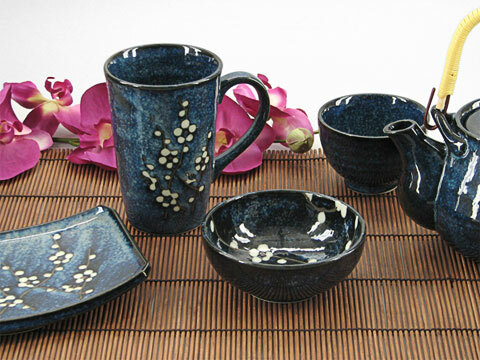 Smooth deep blue glaze with mottled design. 22 oz teapot. 3 oz. tea cups. Sold individually. Made in Japan. Blue Plum Japanese porcelain mug and bowl. 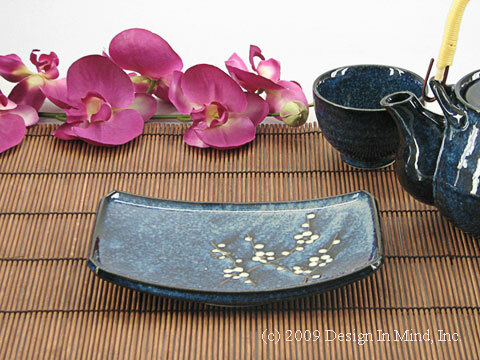 Smooth deep blue glaze with beautiful blue plum design. 8 oz. mug and 4 oz. bowl (4.5" dia). Sold individually. Made in Japan. Blue Plum Japanese porcelain plate. 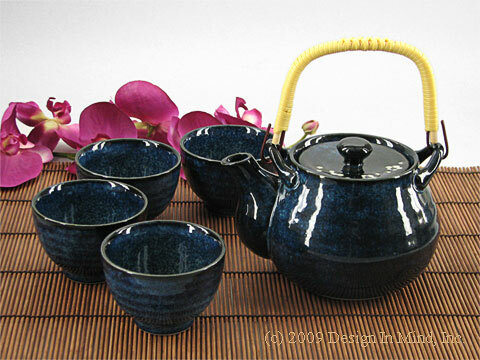 Smooth deep blue glaze with beautiful blue plum design. 7.25" x 4.75" with slight circular pedestal base. Made in Japan. Japanese porcelain teaset. 20 oz. teapot with 4 matching 4 oz. tea cups. White with smooth crackle finish with Japanese writing. Bamboo handle. Made in Japan. Japanese porcelain teaset. 18 oz. 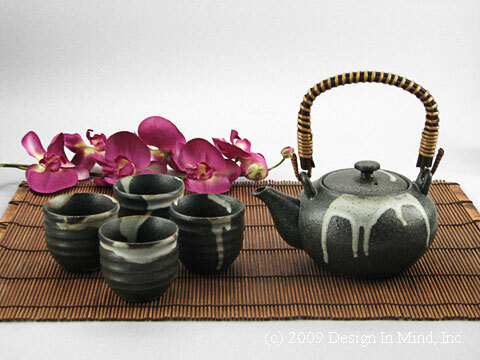 teapot with 4 matching 3 oz. tea cups. Unique rough finish with black and white design. Bamboo handle. Made in Japan. Japanese teaset. 24 oz. teapot with two 5 oz. cups. Black matte, matte speckled brown, and cinnamon metallic glazes make this set unique and beautiful! Made in Japan.